Super Holiday Villas Expands from Phuket to Include other Top South East Asia Villa Vacation Locations. SuperHolidayVillas.com has added hundreds of villas to its listings, expanding to top South East Asia Villa Vacation spots such as Koh Samui, Krabi, Pattaya and Bali. 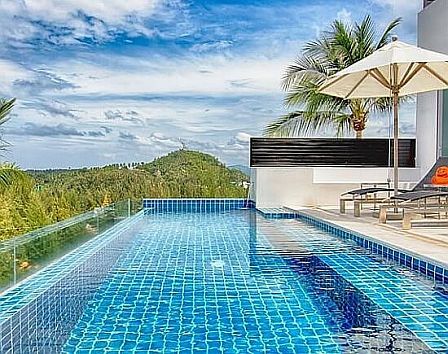 While many travelers think of Phuket as the main vacation destination in Thailand, Koh Samui has made great strides and has dozens of stunning villas available for a truly luxury vacation. Bali is also a hot-spot for villas, and can accommodate groups of any size or budget. In Pattaya, most villas come with a rental car in the price, to entice tourists that may otherwise stay in hotels. The cars are perfect for golfers with an independent streak, as they can visit different courses on their own schedule. Krabi is relatively small in terms of villas available, but what it lacks in quantity it makes up for in great services and handsome properties. In Phuket, Super Holiday Villas continues to expand its extensive villa database, and is also adding a special “VIP Concierge Service” to it repertoire of traveler services. The VIP services will include everything from airport pick-up to area tours, with a particular emphasis on custom-built tours that fit the individual and creative nature of villa travelers. In Bali, there are many amazing villas that not only offer magnificent properties, but provide simply phenomenal services that make for a truly special vacation package. Bali villas range from secluded mountain retreats to cliff-side ocean-view villas with amazing views of the expansive ocean beyond. Koh Samui and Krabi are the up-and-coming villa markets, and offer tremendous scenery and adventure-tours to accompany their quality properties. Pattaya also has many luxury villas, with an emphasis on the golfing.